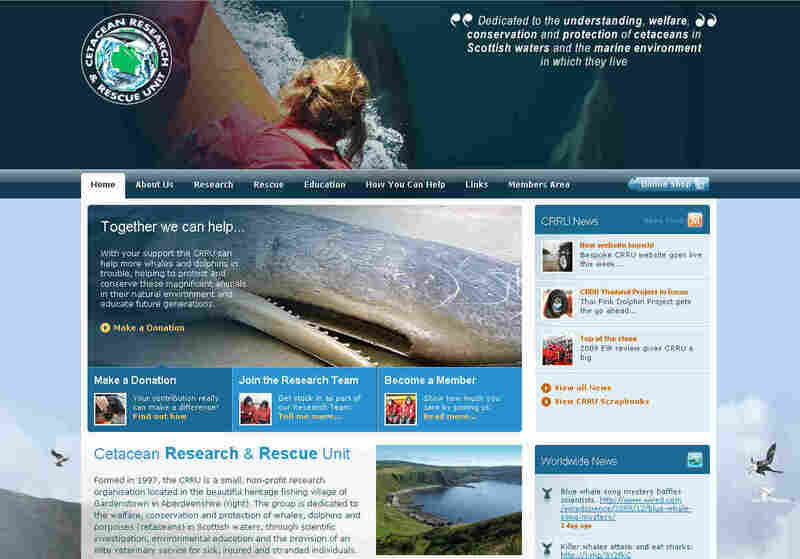 This week saw the launch of the brand new CRRU website (www.crru.org.uk). The site has been produced by the Fort William-based agency Hotscot – one of Scotland's leading web designers – with funding from UK corporate supporters Reed Elsevier and the Alcoa Foundation. Featuring some of our best wildlife and scenic photography from Scotland's northeast coastline, the bespoke website provides not only a colourful and sought-after forum for the charity, but a much-needed educational and advocational resource – incorporating worldwide news on marine issues, facilitating on-line sightings submissions, providing detailed species fact sheets, scientific reports and an exclusive Members Only Area (with downloads, high resolution wallpapers, video clips, an "educational" kids section, plus other fun stuff and news bulletins). The new website utilises the latest social media networking tools and web resources (e.g. twitter, microblogging, media streams, RSS feeds etc) and incorporates a Content Management System which will allow us to easily update and expand the resource “in-house”, to facilitate greater information exchange and better promote mainstream campaign work and leading marine conservation issues.